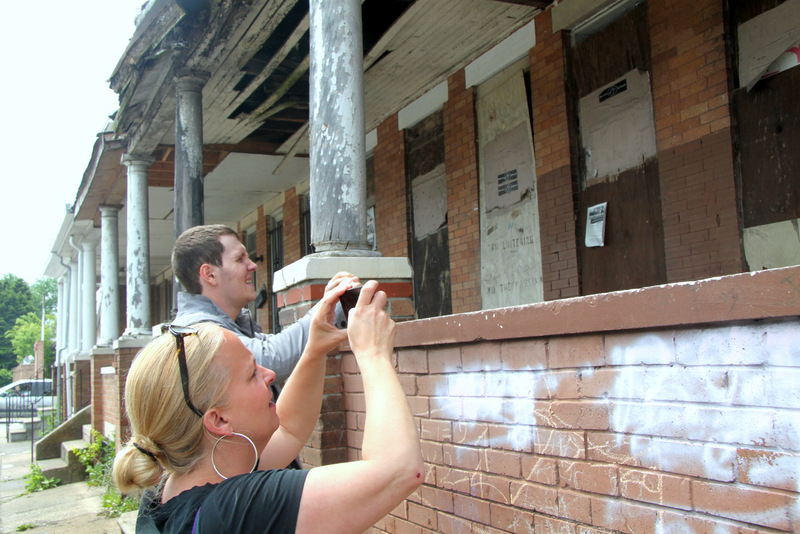 Baltimore Slumlord Watch is working with Nether to beautify boarded-up buildings – and to call out their owners. Waist-high weeds and poison ivy. A strong smell of urine and a dead white cat. A collapsed back wall replaced by a tree so big it had clearly been growing there for at least a decade. The rank reality of these Northwest Baltimore vacants was energizing slumlord-outing blogger Carol Ott and street artist Nether on a recent May morning. “Look at her – she lives right next-door to that awful place,” said Ott, approaching a woman who’d been watching warily but soon shared a woeful tale about life beside one of these rodent-infested, vagrant-magnets. Ott took out her notebook and started writing. 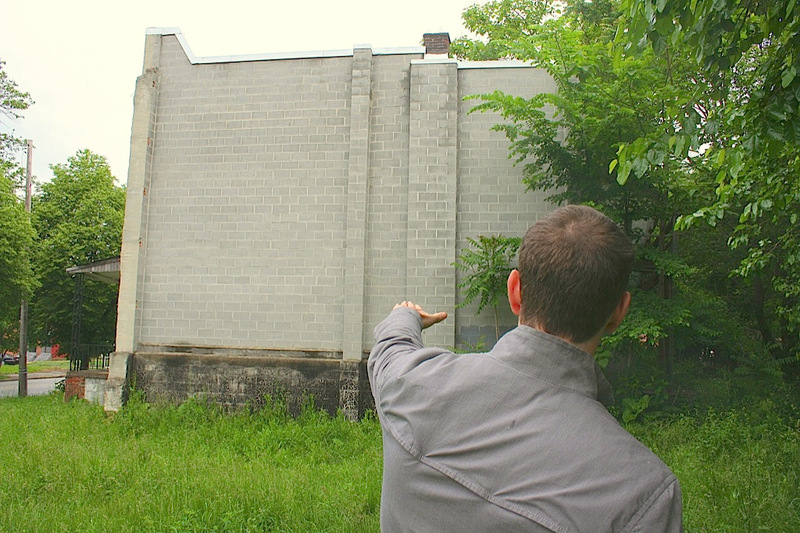 Meanwhile, across the street, Nether was getting pictures of the two-story-high cement-block wall beside a weedy lot. 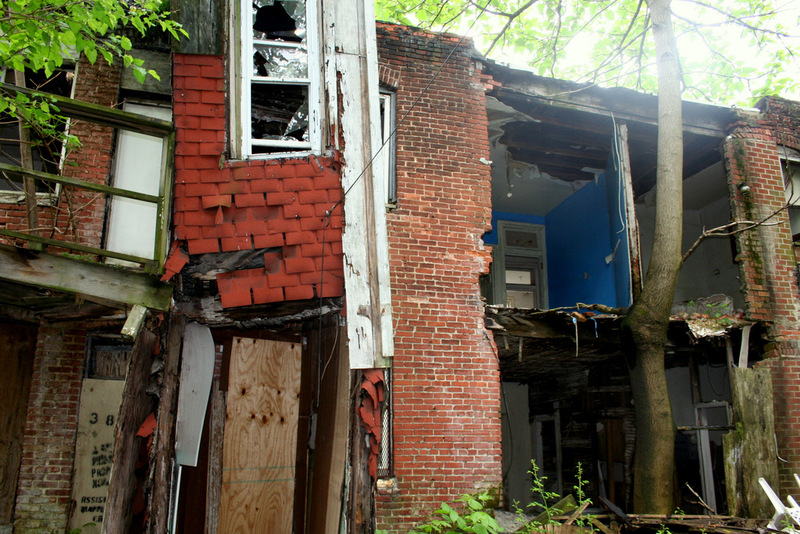 Ott and Nether are not newcomers to a decades-old Baltimore problem: street after street of boarded-up houses. For the past three years, she has been shaming delinquent property owners, pushing city officials and advocating for neighbors on her Baltimore Slumlord Watch website. During that same time, he was wheat-pasting and painting his art on, unbeknownst to him, many of the same vacants that Ott was writing about. Their decision to collaborate has stoked the imagination of this unlikely duo – the 45-year-old Pigtown mother of two and the 23-year-old artist whose work appears in galleries and on walls from Bushwick to Brazil. 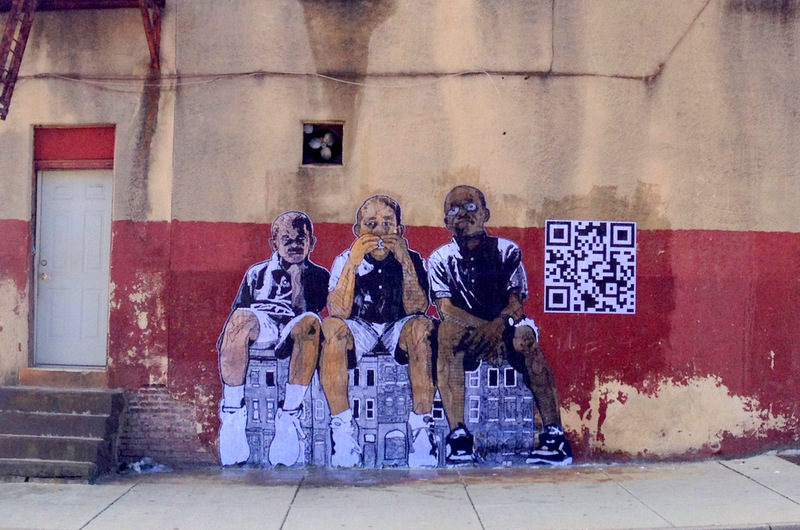 But perhaps the most innovative feature is the set of huge QR codes Nether will be putting on vacant properties in connection with each mural. These will lead the curious, via cell phone, to one of Ott’s fact-filled blog posts. The post will typically include a photo of the particular blighted property, plus the name and address of its owner, any past history of violations, the elected officials who represent the area, their contact information and whatever other details Ott can ferret out. If the facts don’t, metaphorically, “stab ‘em in the eye,” Ott’s occasional withering commentary may. 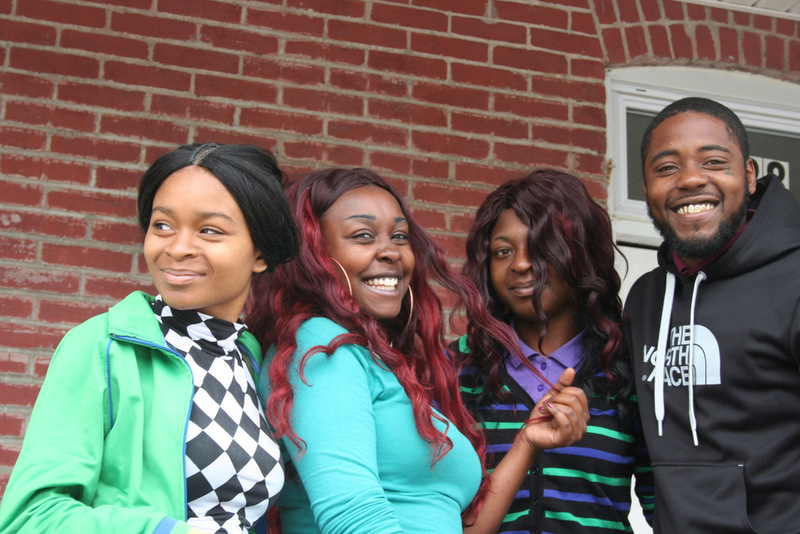 “He’s a real piece of work,” she wrote of one of the Reisterstown Road property owners. “I think when you’ve been the defendant in over 500 lawsuits . . . something needs to give.” A commenter joined in, observing that the landlord himself lives in one of the city’s more affluent neighborhoods. The project is being funded with $12,000 from a mystery donor and an additional $8,000 they hope to raise from a crowdfunding website they’ve made on indiegogo.com. Ott and Nether say they hope their project will get the public to focus – in a more informed and urgent way – on the ocean of vacant structures that sometime seem to be engulfing the remaining residents of the shrinking city. City officials say there are 16,000 vacant buildings in Baltimore, a sore point with Ott who says the number is more like 40,000. “I think it’s important to take these ‘shadow vacants’ into consideration, since they don’t look empty but they are,” she said, adding that there are some in her neighborhood and others across the city. Ott reserves most of her ire for slumlords and alternately works with and hocks on the Councilmembers and city housing officials she thinks should be better policing them. She says bashing the mayor is short-sighted (“Stephanie Rawlings-Blake did not create this problem”), but has low regard for the chief solution that the mayor offers, her Vacants to Value program. 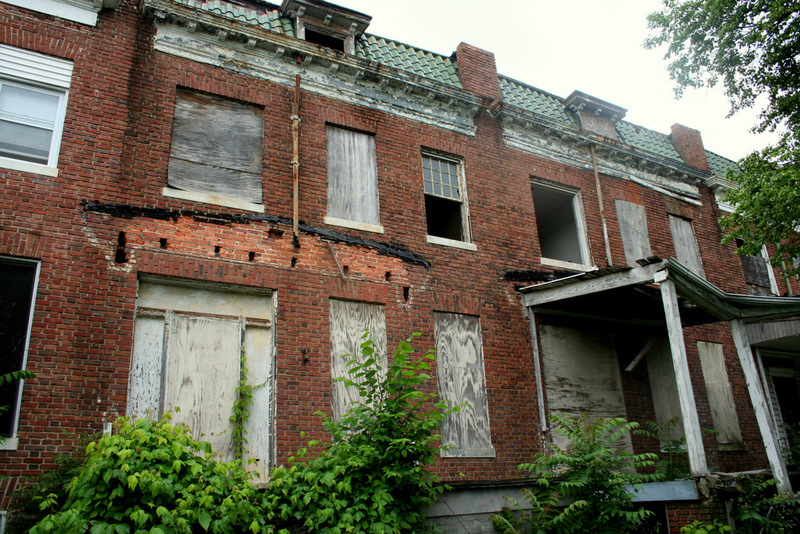 Ott is hoping that by shining a harsher light on the vacants, the Wallhunters project can create the momentum for more effective programs and reorder policy priorities. “Hey, how about instead of tax breaks for developers, how about using that money to redevelop places like West Baltimore where people feel incredibly ignored?” she said. But Nether is excited about the idea of putting large murals by big names like Gaia, Tefcon and Mata Ruda in places like Cherry Hill and Pigtown that have not gotten the elite mural treatment. “There’s going to be one in every councilmanic district,” he said. He and Ott both both want to make sure the story of the residents struggling to live amid the vacants is told as well. They’re looking to the film project, underway for months now, to capture their interactions in the neighborhood. Police generally give them a look and then keep going.